As mentioned in previous post, Lawson has also come up with its own Premium Matcha Roll which is very similar to this. Perhaps because this is a collaboration with the famous Tsujiri, the price is 10 Yen more expensive. It is difficult to pin down which is the better one. 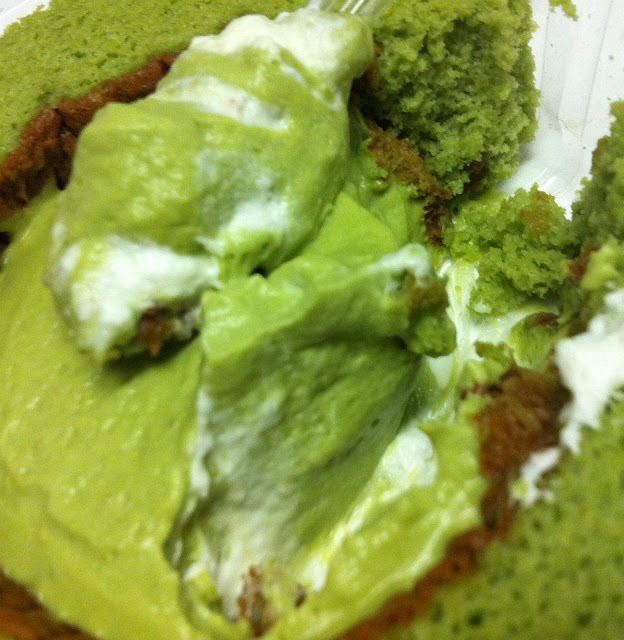 The matcha sponge of this is definitely more moist and softer than the Lawson's version. 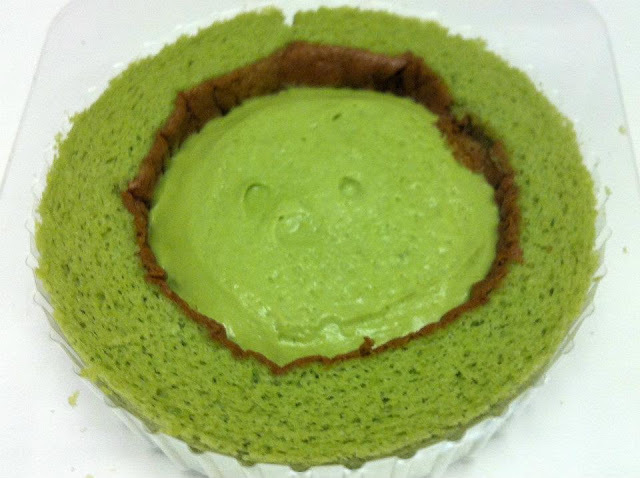 However, the matcha cream here is slightly sweeter. Another difference is that fresh whipped cream is also added here. This might actually be quite unnecessary as this may dilute the matcha flavour. A bittersweet and spicy combination. 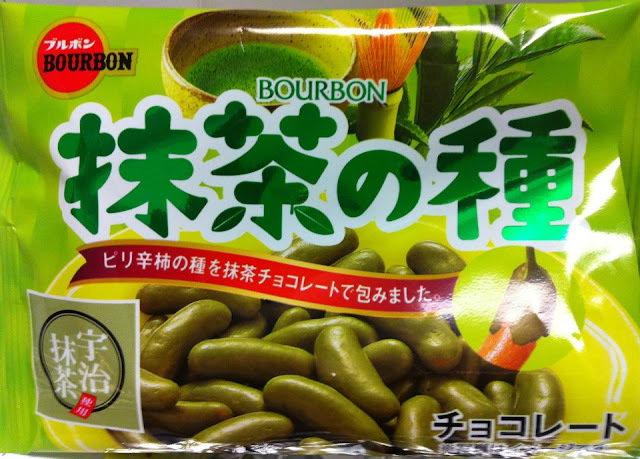 There used to be dark chocolate version and now this is the version in which mildly spiced rice crackers are coated with bitter matcha chocolate. A highly addictive snack as the flavours are well balanced. Buttery biscuits sandwiched with matcha cream. 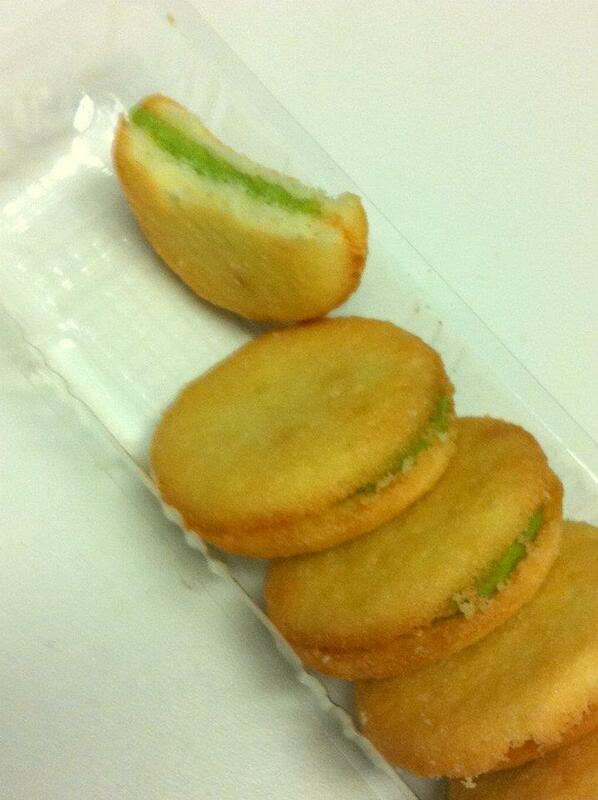 The cheapest matcha snack so far but yet the taste is not compromised. 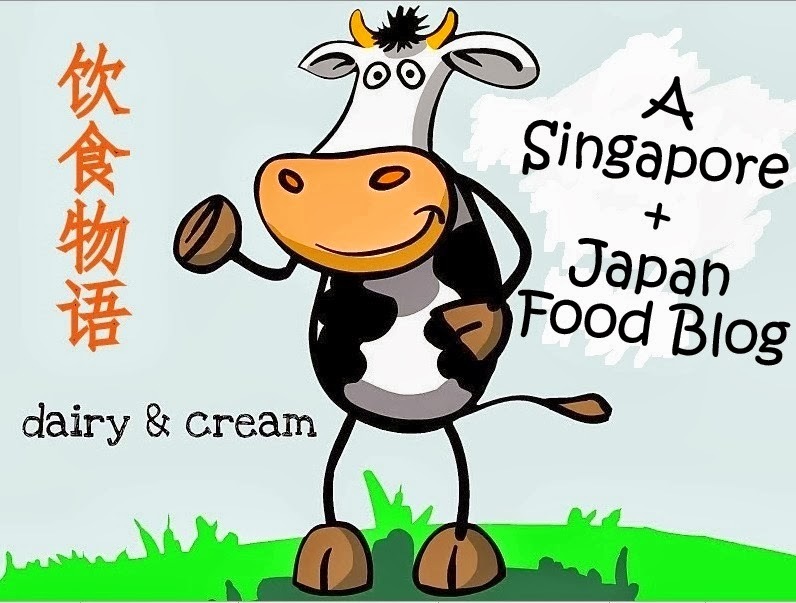 A collaboration between Itoen's Matcha and Fujiya. Wonder how they infused ice cream into cookie? Well, the difference between this Matcha Ice Version and their Matcha Latte version is not that distinct. Perhaps the only difference is that this does not contain any white chocolate chips and tastes less rich than the Latte version. 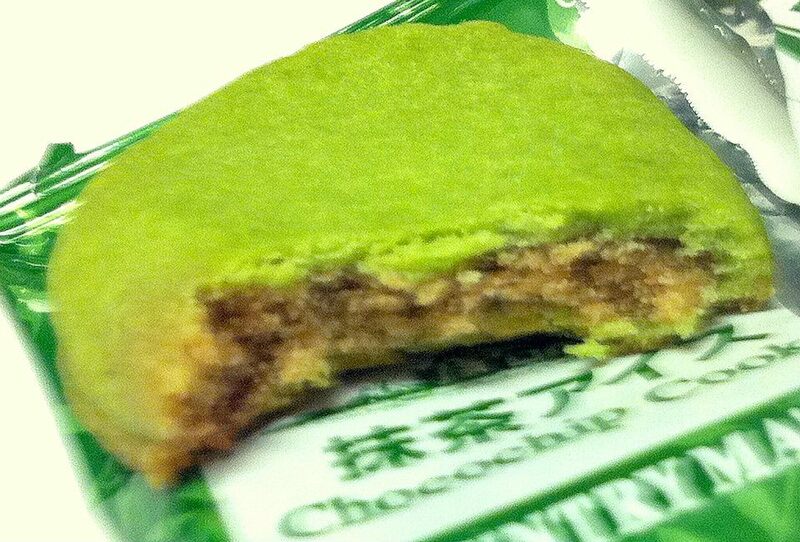 However, it is nonetheless another delicious soft-type of matcha cookie. ジャージー乳を使用した抹茶味のアイスに、練乳のソースをあわせました。旨みと甘みがたっぷり凝縮された愛知県西尾産の一番摘み抹茶を使用しました。Unlike the usual kyoto matcha, tea leaves from Aichi Prefecture is used here. 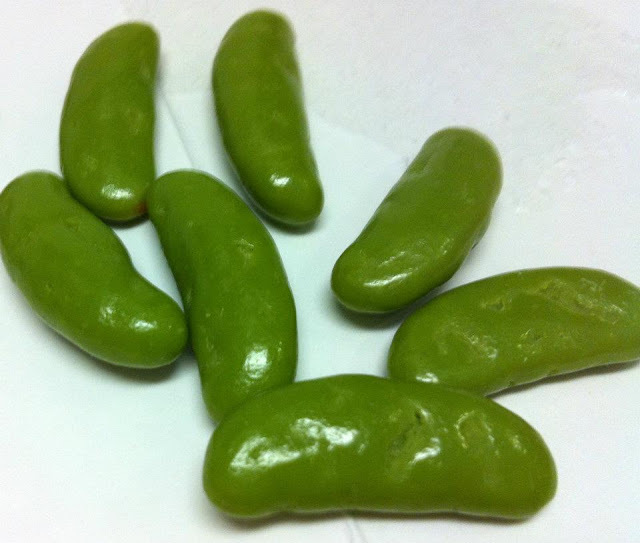 The monaka shell is not crunchy as already expected of most monaka products. 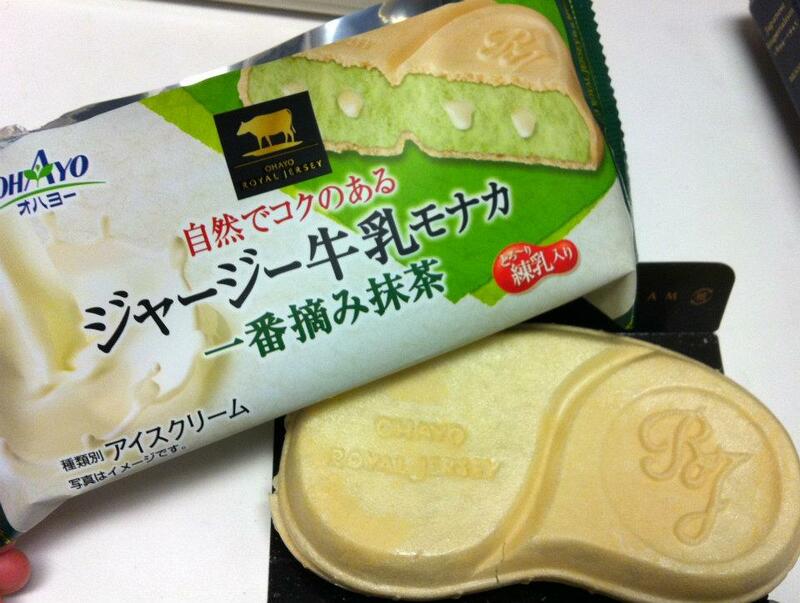 The lighter green colour of the ice cream is evident of the higher proportion of milk that is used for the ice cream. The intensity of the matcha is not that strong here but what is interesting is the addition of bubbles of condensed milk. 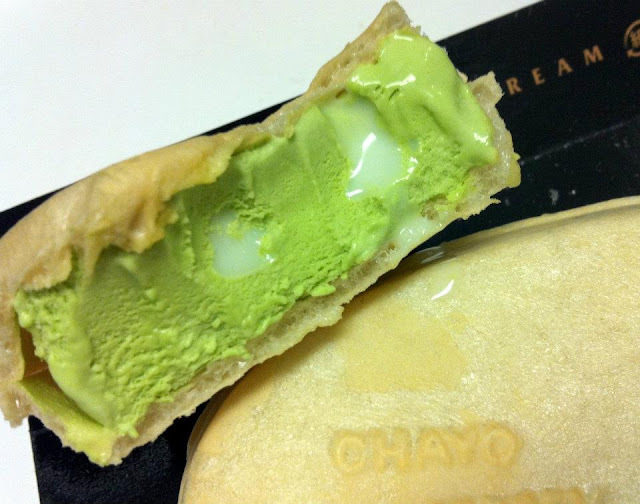 Perhaps the use of condensed milk was intended to contrast and bring out the matcha flavour. 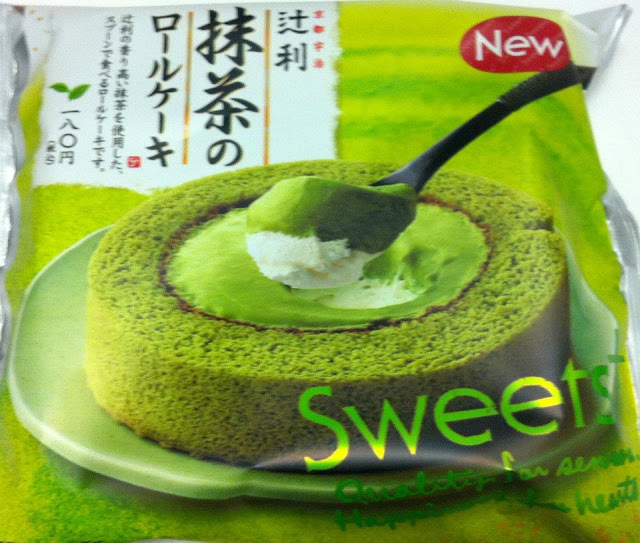 The full bodied flavour of the matcha from Aichi Prefecture could be better released if this had not been too sweet.